The monument commemorates those from the district who served in World War One. 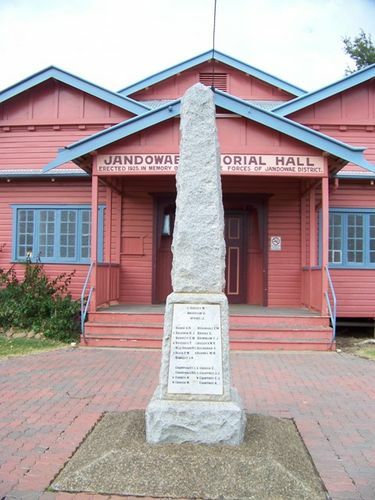 The obelisk outside the Memorial hall was unveiled by Mr Victor Drury assisted by Mr J Sparkes M.L.A on ANZAC Day 1935. The Courier-Mail (Brisbane), 20th April 1935.